The 2018 season continued to deliver as HCS London provided an incredible slate of international Halo competition. The Gfinity Arena played a perfect host to an event that proved in many ways that the competition at the top is closer than ever. 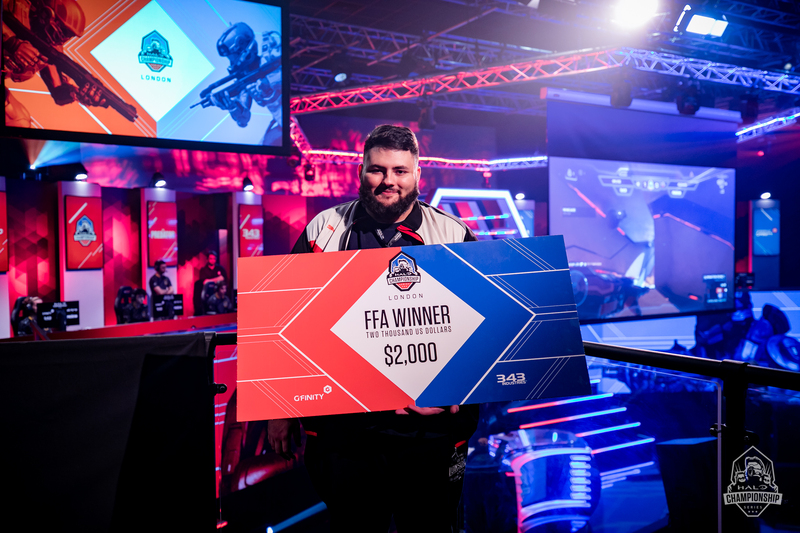 Spectators, both in attendance on-site and checking the broadcast online, were blessed with yet another fantastic display of top-level Halo 5 gameplay, with TOX Gaming coming out atop a packed field to claim the spoils in a shock Grand Finals victory over rivals Splyce. HCS London kicked off strong with Group Play between North American powerhouse Splyce and Latin America’s top representative in Berserker Esports. That series and the following went to North America’s finest as many expected. Saturday only continued the trend as heavy hitting squads like Renegades and Team Reciprocity looked to defend their positions in Group Stage, and Open Bracket hopefuls fighting to remain in the tournament. 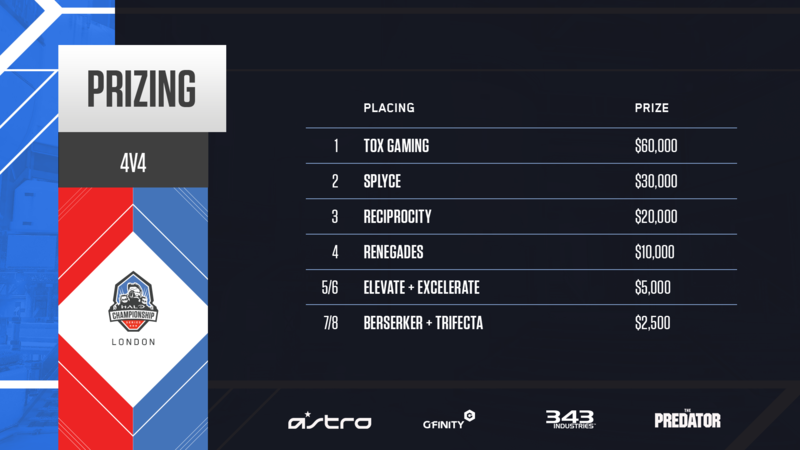 When the Group Stage concluded, it would be TOX Gaming, Splyce, Renegades, Team Reciprocity, Berserker, Excelerate Gaming, Lucid Gaming, and Elevate emerging to put themselves in the driver seat of the Championship Bracket. Saturday action at HCS London 2018 saw top teams begin to truly separate themselves from the rest of the field – some in dominant fashion, and some only by virtue of late-series clutch performances. One such series was a scintilating scrap between TOX Gaming and Renegades, with TOX taking a final Game 5 win on Plaza Slayer thanks to some incredible plays by Royal2 to help save the two-time world champs from an early trip to the Elimination Bracket. Day 2 closed out with Reciprocity pulling off an unprecendented reverse-sweep over the defending world champions, Splyce, to earn a date in the Winners Bracket Finals against TOX heading into Championship Sunday. Championship Sunday in London gave us another memorable moment in the Halo 5 esports chapter. The day led off with Mikwen and Neptune leading Renegades to a fantastic win over the talented Excelerate squad in another series that would go the distance in London. The Renegade magic would run out against Splyce however as the defending world champs took the Elimination Bracket final to await the results of the TOX vs Reciprocity series. In that Winners Bracket final, Reciprocity started out with two statement victories to go up 2-0 in the series. However, TOX Gaming showcased why they've been as successful as they have for so long by rattling off four straight to claim the set 4-2 and advance into the Grand Finals. The loss forced Reciprocity into a rematch with Splyce in the Elimination Bracket finals, and Splyce wouldn't falter a second time, taking a dominant 4-0 victory over Reciprocity to earn a date with with TOX in the Grand Finals. 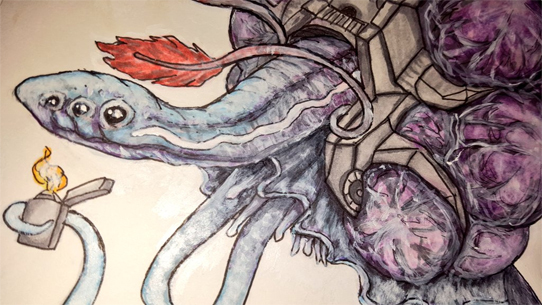 The final act of HCS London 2018 played out like a strange mirror-universe version of New Orleans. On the bayou, TOX Gaming came from an Elimination Bracket run to reset the Grand Finals with a 4-0 sweep of Splyce, only to have the favor returned in the second best-of-seven. Across the pond however, it was a different story. This time it would be Splyce who tore through the Elimination Bracket, and then tore through TOX in a dominant 4-0 fashion to set up a winner-take-all final best-of-seven. And just like in New Orleans, the Winners Bracket representative would hold their ground. 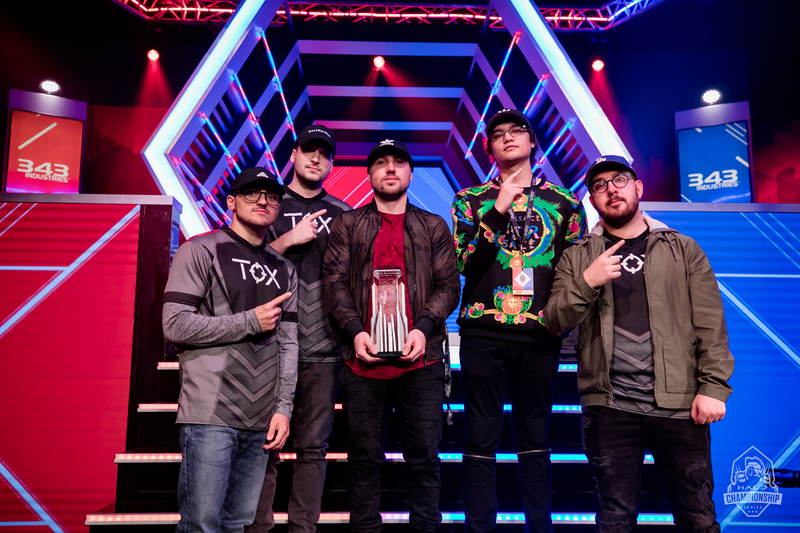 TOX took the second Grand Finals series in a memorable and unprecedented 4-0 sweep, though the final tally would be unrepresentative of how competitive the series was, with seemingly every match coming right down to the wire – including a 50-49 comeback win on Coliseum Slayer that set the tone for TOX. One of the longest-running squads in the history of the sport finally notched the tournament win their now-independant banner deserved, after winning two world titles under more established organizations. 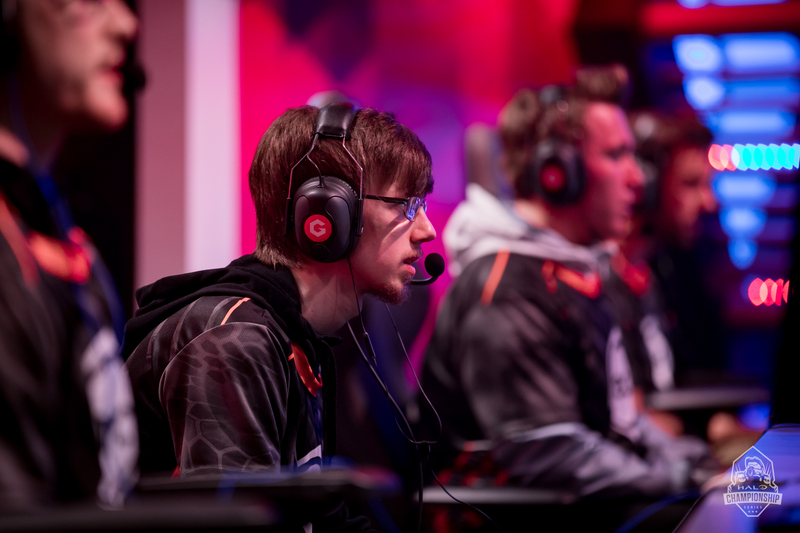 The TOX Gaming lineup of Snakebite, Lethul, Royal 2, Frosty, and their coach Royal 1, now head into the HCS 2018 Finals at DreamHack Atlanta with a very different set of expectations – and leave Halo fans everywhere foaming at the mouth when considering the epic possibilities. TOX Gaming proved without a doubt to be an undeniable part of Halo esports royalty in London. Will they be able to maintain the same momentum as we head into the HCS 2018 Finals in Atlanta come November? 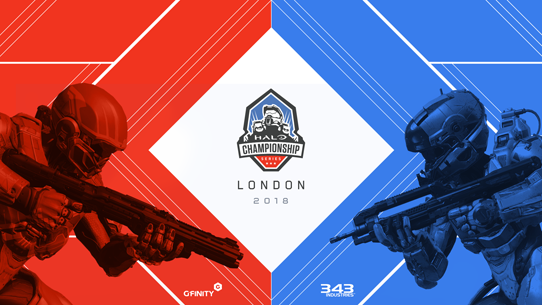 On Saturday, the HCS London 2018 FFA tournament featured a talented slate of lone wolf contestants fighting for the honor of playing in the FFA Grand Finals. When Championship Sunday finally arrived, it would be Shabby Dagger who proved to stand above the rest of the field, taking home the $2,000 top prize. 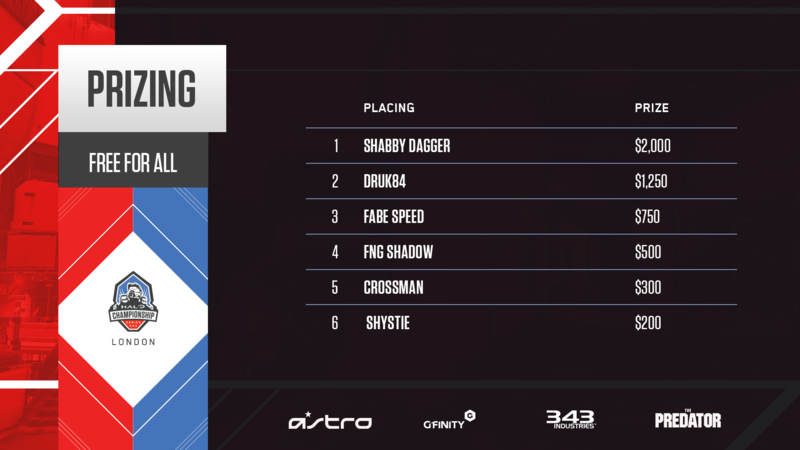 Congrats to Shabby Dagger on taking first place in the FFA at HCS London. We can’t thank all the teams, players, and community enough for the incredible support in making HCS London such a fantastic event for all involved. Next up, we head to Atlanta for the HCS 2018 Finals! 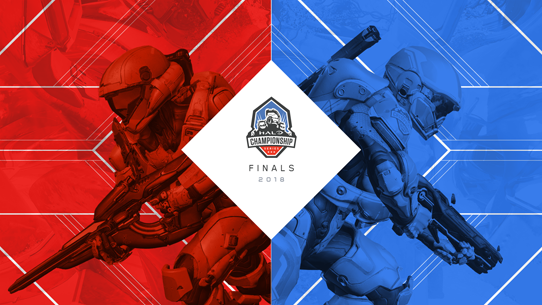 For all the latest on the Halo Championship Series keep it locked to Halo.gg and follow @HCS and @MLG on Twitter.